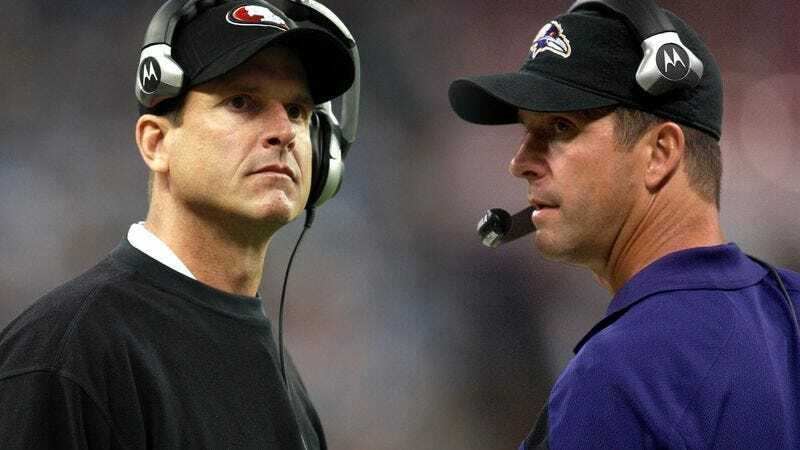 NEW YORK—After noting the respectable performance of Baltimore Ravens head coach John Harbaugh and the excellent record of San Francisco 49ers head coach Jim Harbaugh, the National Football League announced Tuesday it is actively seeking any and all Harbaughs currently not in use. “If we could find maybe three or four more Harbaughs, we could replace at least one of the Whisenhunts, Turners, and Sparanos we’re making do with now,” a statement from the league read in part. “The NFL is prepared to offer a hefty finder’s fee to anyone able to locate adult male Harbaughs of decent condition who can speak English and identify a regulation football.” NFL sources said the only person to answer the inquiry, an Africa-American male who became agitated when asked to produce proof of his Harbaughness, was almost certainly former Minnesota Vikings coach Denny Green in disguise.